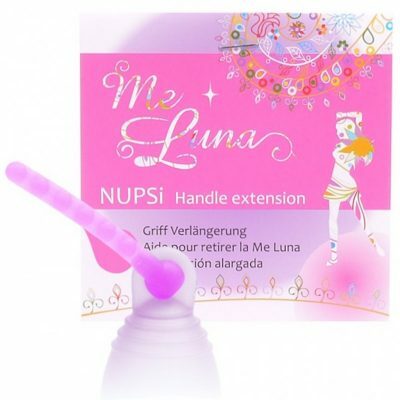 Me Luna Fuchsia Sport Shorty Large Menstrual Cup is a shortened versions of their classic Large Sport cups. It is ideal for those who have a lower cervix and/or those who have prolapses. This is the widest range of low cervix menstrual cups on the market in terms of size, colour, firmness and handle choice. It is deservedly very popular.